Key2Lock Locksmith Elizabeth NJ – When you are looking at everything that you need for your safety and security, you are likely trying to figure out a lot of things. That’s why you need some help from our locksmith Elizabeth, NJ that can give you some ideas as to what you need to do. Get what you’re looking for from a Locksmith Elizabeth NJ to get the best service. We have over a decade in business and are known for being honest, reliable and dependable. With our fully loaded van and 20 minute response time, we will take care of any needs and emergencies that may come along! Did you know that at Key2Lock, we provide 24 hour emergency service in Elizabeth NJ? We have trained professionals on our team, all skilled locksmiths. 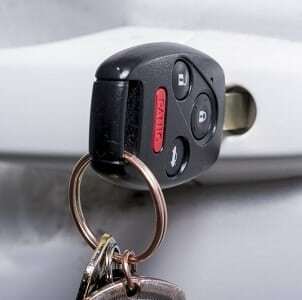 If you need a car locksmith for a lockout emergency, we can get you one ASAP. If you’re looking for a residential locksmith that can answer questions or deal with updating, changing or fixing locks, we can help you there too. We can even provide you with help from a commercial locksmith that can assist you with upgrading the locks and other security measures on your business. So, you’re in a situation where you need to get a new ignition key for your vehicle. The problem is, if you have a newer car you likely have a transponder key, which has a specialized chip that makes it difficult to copy your key. How are you supposed to get your replacement car keys with one of those? It’s quite easy, actually! Our car locksmith in Elizabeth NJ experts have the tools necessary so that we can copy transponder keys in next to no time and with ease. Come on over and we can get you a copy of your keys today – regardless of how old or new they may be! Life can come at you fast, and it can be frustrating to end up in a situation where you need help with an emergency lockout. That’s why we offer 24 hour lock service so that you can get the help that you need in order to get back into your home, business, or vehicle in next to no time. We always have an emergency car locksmith on call that can get to you with our fully loaded van. With our team of locksmithing pros on the job, you can rest easy knowing that you’ll be out of your predicament fast. Your home is your castle, and it should be as safe and secure as possible. If you live in Elizabeth NJ, we have a locksmith residential that can help you out, including if you need to replace residential door locks or you need help with a home lockout. If you own your own business, you may be looking at issues like commercial door locks, taking care of commercial lockouts and updating your security lock system. Let a commercial locksmith from our company take a look and give you assistance where you need it. We provide lock and key services with 15 minute response time anywhere from locksmith Newark NJ to Rahway including Locksmith Union NJ. Visit Locksmith Near Me to see more!